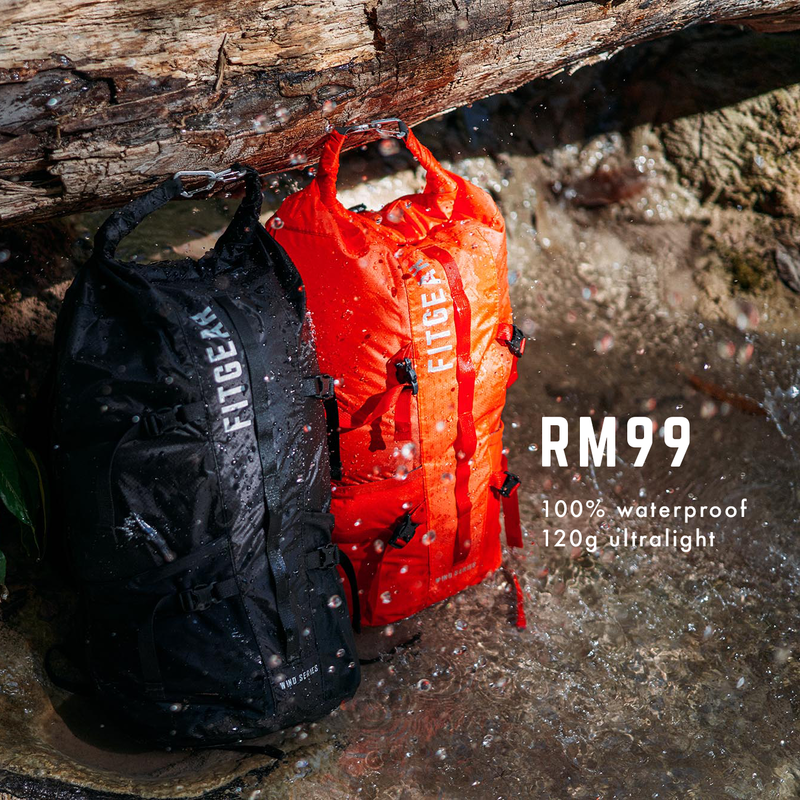 According to FITGEAR site statistics, the first release of 1000 unit Wind Daypack 24L have been sold out completely in just 23 minutes and 47 seconds!! To all outdoor enthusiasts, you guys are probably no stranger to FITGEAR™ - a 21st century brand that stands for 'Premium quality, honest price’. Begun with a humble start - their classic 2hr-dry™ Wind Basic Tshirt was a big hit across the globe. 40,000 pieces were sold globally and their fan base of over 22,000 supporters grew exponentially just within 10 months!! Awhile back, FITGEAR™ has released the long-awaited backpack – Wind Daypack 24L. Exclusively designed by a team of designers from Stockholm, Sweden this backpack boasts of top-notch quality without compromising functionality. Military grade material, known as CORDURA® was used as the main fabric due to its well-established reputation for lightness and durability. 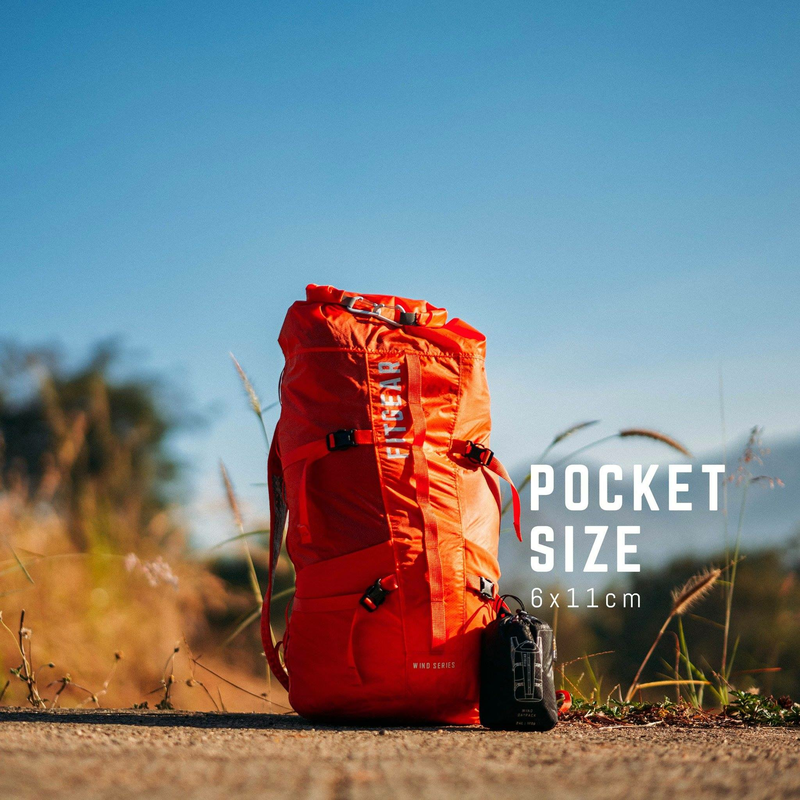 Weighing only 120g, its 70% lighter than any backpacks you’d find in the market! 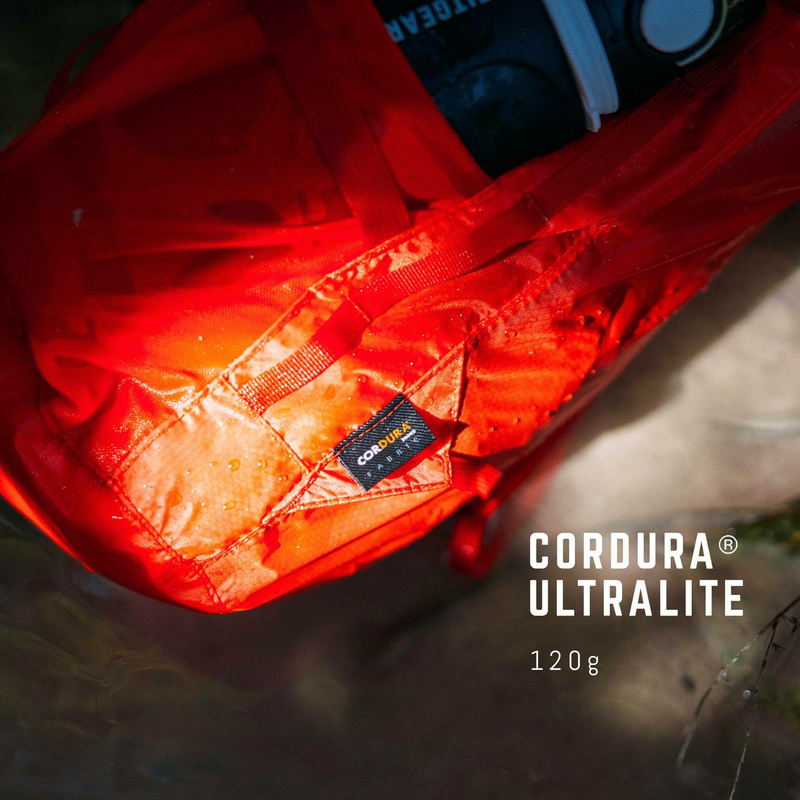 Coupled with a Hypalon® Rolltop Waterproof Closure, it’s 100% waterproof – ticking all the boxes of a well-made outdoor backpack! Foldable into the size of a soft drink can! Loyal fans would agree that FITGEAR™ is a 21st century brand that prioritises quality over quantity. Although product options are minimal, they’ve never failed to provide basic essentials needed by all outdoor lovers. What impressed me even further is their willingness to take on the responsibility to travel the world to find the best quality for their customers. A ‘customer first’ mentality is definitely evident in the brand’s DNA. 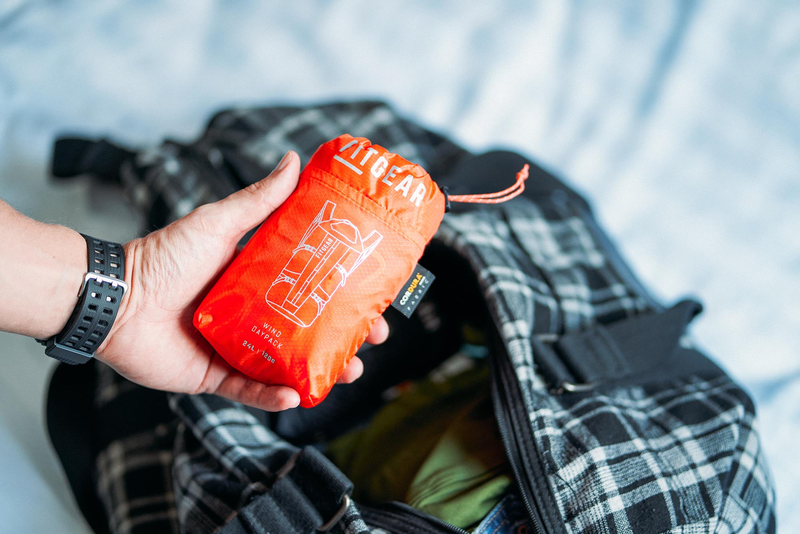 As seen from their Wind Daypack’s production process, 2,000 fans were invited to be part of the design discussion, taking into account every single detail that customers have to say. I certainly can’t think of another brand that values their customer as much as FITGEAR™ does! Wind Daypack 24L is currently sold on their website from RM99 each（bundle of 4 units）to RM149. Purchase now to get a free TSA Lock worth RM29! While stock lasts, so don't miss out!! Not many brands our there prioritises quality, even lesser brands would transparently share the business’ cost and profit from each product made. Hence, I believe this is the key reason that differentiates FITGEAR™ from the others. With “Premium quality, honest price” as their key motto, many would agree that this is far more than just a marketing ploy. Their high-quality products are solid objective evidence that proved they practice what they preach. Thanks to FITGEAR™, outdoor enthusiasts and backpackers all over the world now have a better option. Their boldness in executing a cut-the-middleman business model has allowed people like you and me to save that extra bit of cash that can be spent on more meaningful purposes. I believe affordable luxury is the future of the retail industry. As savvy consumers, we need to actively support brands like FITGEAR™ to create a better retail experience for the generations to come! Don’t sit back! Start sharing the brand story to those around you! You can be a part of this 21st century movement!